AUSTIN — From Friday, November 16 to Saturday, November 17, the Delco Center located at 4601 Pecan Brook Drive will be full of excitement when four competitive college basketball teams, along with Huston-Tillotson’s, and two local high school teams meet on the hardwood. This will be Huston-Tillotson University’s kickoff of its first-ever HBCU Basketball Classic named after the University’s third president following the merger, Dr. John Quill Taylor King. With games spread across both days with guaranteed family fun, advance tickets are available now here. 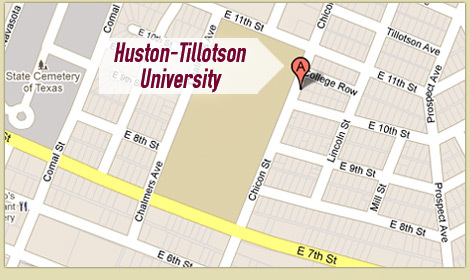 College teams from Langston University, Fort Sam Huston, Paul Quinn College, and Southern University at New Orleans will join Huston-Tillotson’s teams in the Classic. The local high school teams will be LBJ Early College and Vista Ridge High School. Athletics Director Charles H. Dubra, an HT alum and 43-year employee, shared that this Classic is a community event. The purpose of the John Q. Taylor King HBCU Basketball Classic is to provide a community-wide event that will strengthen Huston-Tillotson University’s ties with the Austin community. This outreach activity will engage those affiliated with the guest teams, youth with interest and love for college basketball, and foster a sense of pride among the constituents of Austin. Dr. King served as president of Huston-Tillotson College (now University) from 1965 to 1988, making him the longest-serving president. He joined the Huston-Tillotson faculty as an Instructor of Mathematics and Business Administration immediately after earning his Bachelor of Science degree in 1947. He rose to the ranks of president after serving as Professor of Mathematics and Dean of the College. The King-Seabrook Chapel, completed in 1974, was named in honor of King’s civic and professional accomplishments. He earned five degrees during his lifetime and was named HT’s Chancellor and President Emeritus. Huston-Tillotson looks forward to adding to its list of rich tradition when it holds its Classic in November. For more information on the Classic or sponsorships, contact the Classic Committee Chairwoman, Dr. Beverly Downing, at 512.505.3127 or bldowning@htu.edu. For media inquiries, contact Steven Richardson at 512.505.3072.